Warehouse Workers Stand Up is a diverse coalition of warehouse distribution workers, labor unions, community organizations, and advocacy groups in New Jersey and New York City. 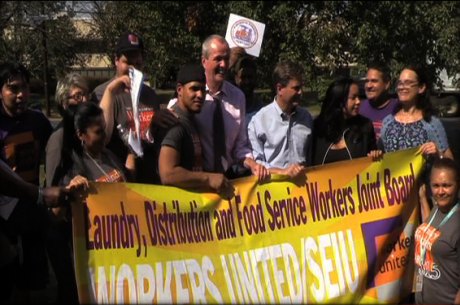 We are fighting to improve the lives of warehouse distribution workers in New Jersey. They are a low-wage workforce that is often undervalued and exploited by top on-line retailers like Amazon and national retail and apparel chains operating in New York City. Coalition members include Workers United LDFS Joint Board, New Jersey Communities United, New Jersey Working Families Alliance, and New York Communities for Change.